Dealing with flood damage? We can help you with your water damage claim. Experiencing water damage to your property can be a very traumatic and frightening experience. Flood damage can be the result of many factors like flash flooding, blocked drains, rivers bursting their banks etc. No matter what the source, more often than not, flood water becomes contaminated with sewage and other pollutants. If you have experienced flood damage in your property, it is important that correct sanitation is carried out before water damage repairs take place. Dehumidifiers can be installed after the strip-out to begin the drying process. Comprehensive flood damage restoration advice and consultation. If you have experienced flood damage at your property, your first instinct may be to have water damage repairs carried out as quickly as possible. Insufficient drying and poor anti–fungal treatment can lead to wet and dry rot problems within the flood damaged property, long after the water damage has been dealt with. When it comes to flood damage repair it is important to remove all affected plaster and timber work and to properly treat and dry out the premises before reinstatement works are undertaken. Balcombes have published a guide book ‘In the Event of a Flood; A Guide to Dealing with the Aftermath’. Click here to download a copy of In the Event of a Flood; A Guide to Dealing with the Aftermath. Processing your flood damage claim quickly and efficiently. 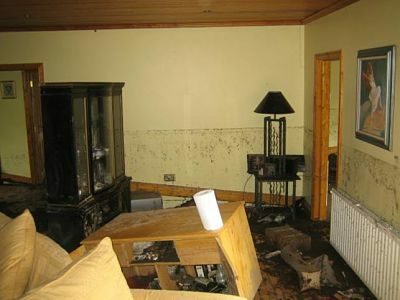 Unexpected flood or water damage to your property can be a very stressful and upsetting experience. It can lead to a lot of confusion and uncertainty about how you should proceed with your flood damage claim. Insurance companies are renowned for making this process confusing, as they often expect you to know exactly what to do to submit your water damage claim. 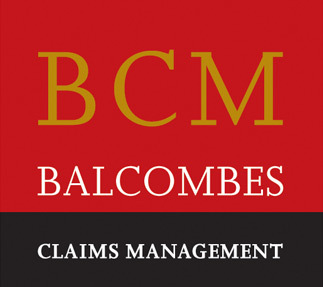 At Balcombes Claims Management we are here to help you to process your flood damage claim. When you engage us we will act immediately to start the process. We will assess the water damage and record all relevant details. 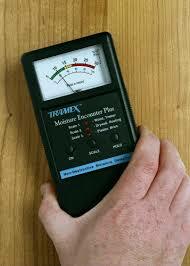 There can be hidden damage, but we have specialist leak detection equipment that can identify and demonstrate it. We will give you professional advice in relation to your flood damage claim and provide the support you need to return your home or business to normal again. Helping you to navigate a flood damage claim. It is important to remember that anything you say to your insurance company at this stage may affect your flood damage claim. It is best practice to not dispose of anything until your property has been inspected by a loss adjuster (appointed by your insurance company). It is your responsibility to prove your loss so ensure that you do not disrupt your water damage claim by disposing of any evidence. Your insurance company will employ a Loss Adjuster to ‘adjust’ your flood damage claim. They are engaged by your insurance company to settle your claim as economically as possible. Balcombes Claims Management are accustomed to dealing with flood damage claims. We understand the additional benefits or extensions to cover that your policy provides. With our knowledge you can be sure that you receive your maximum entitlement under the terms of the policy. Helping you to recover quickly after suffering flood damage to your property. At Balcombes Claims Management we work tirelessly on your behalf to get you the best water damage settlement in an efficient manner. We do all of the negotiating for you, so you have the time to deal with the important issues like looking after your family or business in the wake of flood damage. We can offer you practical and helpful advice on the issues related to flood damage, like protecting your property, finding alternative accommodation, dealing with your damaged goods, understanding salvage values, and many more. As we are experts in flood damage claims we ensure your claim documentation is submitted quickly and efficiently, meaning that you get full satisfaction from your insurers. Professional and practical advice to help you with your water damage repairs. The benefit of engaging a Loss Assessor to act on your behalf in a flood damage claim is that you have expert advice on what you are entitled to claim for and how you to go about doing it. We offer professional advice to you and there is no obligation following a free initial consultation to assess your loss or flood damage. ‘Contact us’ and one of our experienced Property Claims Loss Assessors will discuss the issues with you to see how we can help you with your flood damage claim.